Like a doctor reading a patient’s bloodwork, a lot can be learned about a transmission’s health simply by taking a look at its fluid. When transmission fluid is new or fresh, it is typically transparent and virtually odorless. 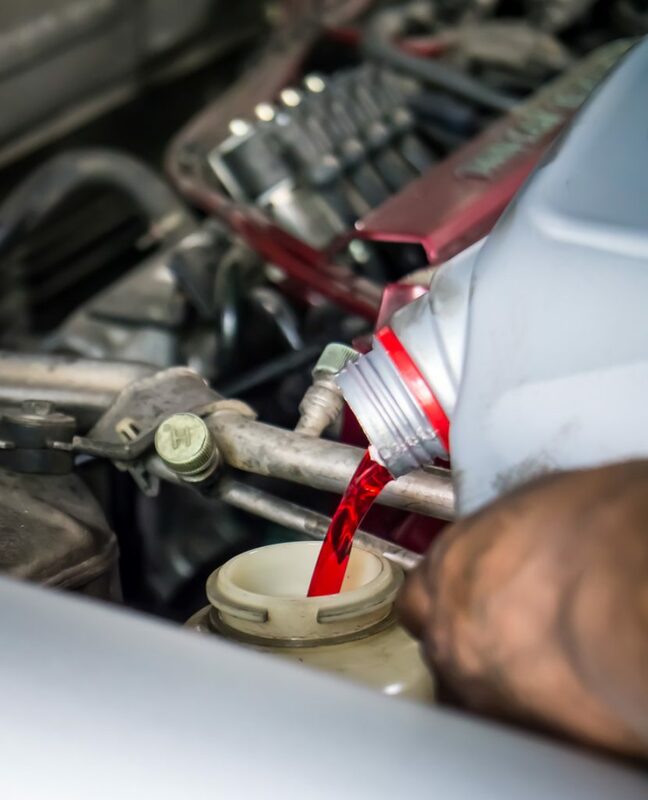 If your transmission fluid has taken on a distinct tint or has coloring of any kind, it could mean any number of issues – ditto for any odors that may become detectable. CLEAN/CLEAR, RELATIVELY ODORLESS – your fluid is good as new and your transmission should be working just fine. Even if this is the condition your transmission fluid is in, it’s never a bad idea to check your mileage since the last time your transmission was serviced to see if it could us an inspection. BROWNISH COLORING, BURNING/BURNT ODOR – this likely means your fluid is beginning to burn and you should take your vehicle into an auto repair shop to have the transmission serviced. It’s also possible that this fluid is simply old – leftover from your last flush – but it’s better to be safe than sorry and have it checked out by a mechanic. DARK/BLACK COLOR, EXTREMELY HARSH ODOR – your fluid is now completely burnt and your transmission most likely is as well. If you encounter your transmission fluid in this state, you’re probably experiencing operative issues and your transmission will need to be rebuilt. While your transmission’s fluid serves an important function and its qualitative condition can be a good indicator as to how healthy or unhealthy your transmission might be, it’s only one tool that technicians will use in their inspections. If you think your transmission is due for a checkup, click HERE to schedule an appointment at our Galva location or give us a call at 620-654-3445!